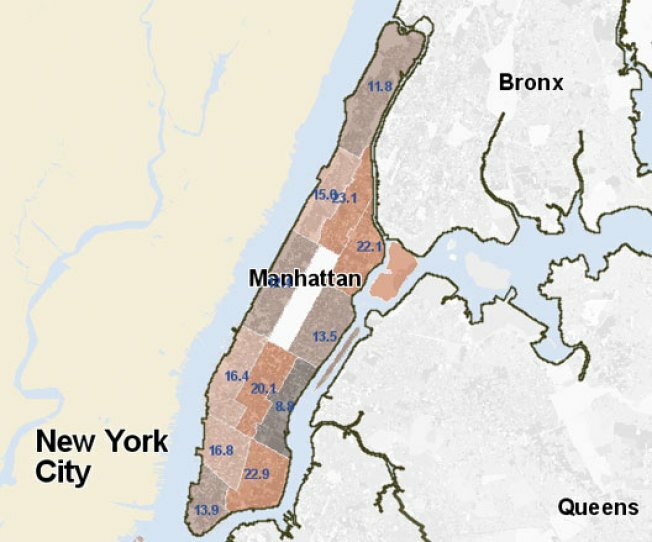 The latest map by the folks at PropertyShark charts Manhattan's affordability by comparing the median list prices in each neighborhood to the median household income. The result is more of an unaffordable housing index. Murray Hill is the most affordable nabe, with a price-to-income ratio of 8.8 (median list price: $825,000, household income: $93,434). That ratio rockets over 20 in other parts of Manhattan, particularly Central Harlem, East Harlem, the Lower East Side, and Chinatown.